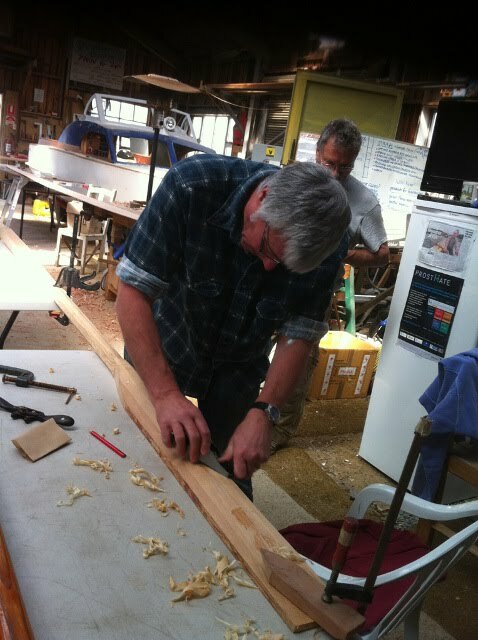 "Day 17 of the Skiff build saw seven of the faithful soldiering on while Pete was in Cygnet with Nancy. Work continued on the fourth planks, with the lands bevelled and gains scarphed in preparation for glueing up on Friday. 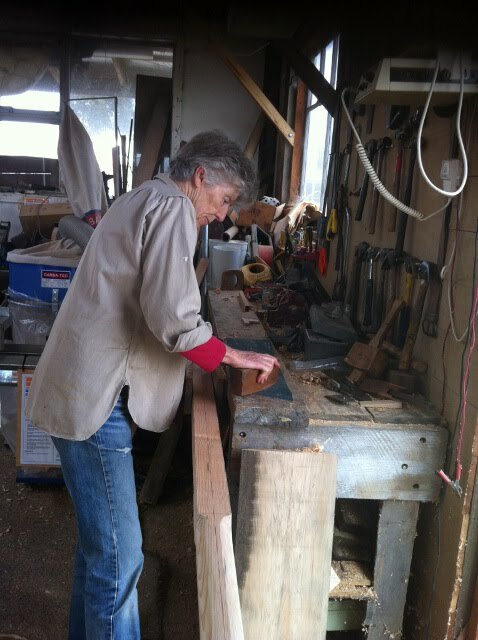 The oars also received attention with the looms being sanded to a nice round. 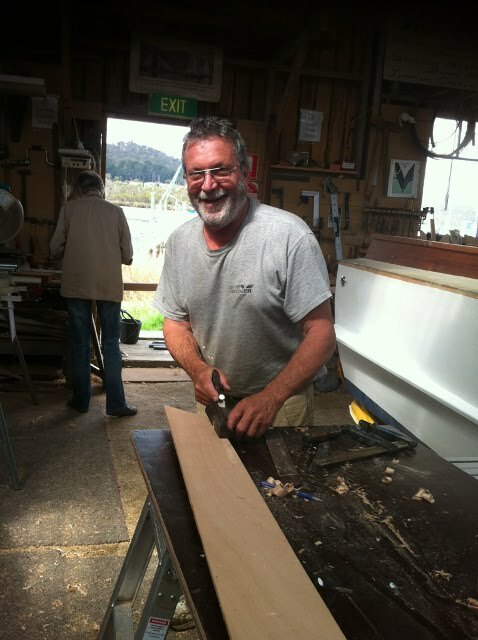 Dennis also gave a master class in plane sharpening and stone dressing. A busy day coming up on Friday, did I hear something about cake for morning tea?"